The BPO has toured widely across the United States and Canada including the Florida Friends Tour with JoAnn Falletta in March 2010, the first multi-city tour since the 1988 European tour. During the tenure of current music director JoAnn Falletta, the BPO has rekindled its distinguished history of NPR broadcasts and recordings, including the release of 36 new CDs of a highly diverse repertoire on the NAXOS and Beau Fleuve labels. The Philharmonic’s Naxos recording of composer John Corigliano’s “Mr. Tambourine Man: Seven Poems of Bob Dylan,” featuring soprano Hila Plitmann, won Grammys in two categories of the three for which it was nominated: Classical Vocal Performance and Classical Contemporary Composition. 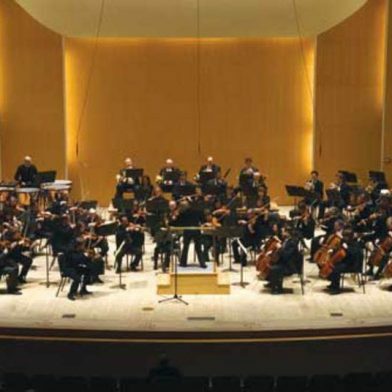 For more information about the Buffalo Philharmonic Orchestra, please visit their website.